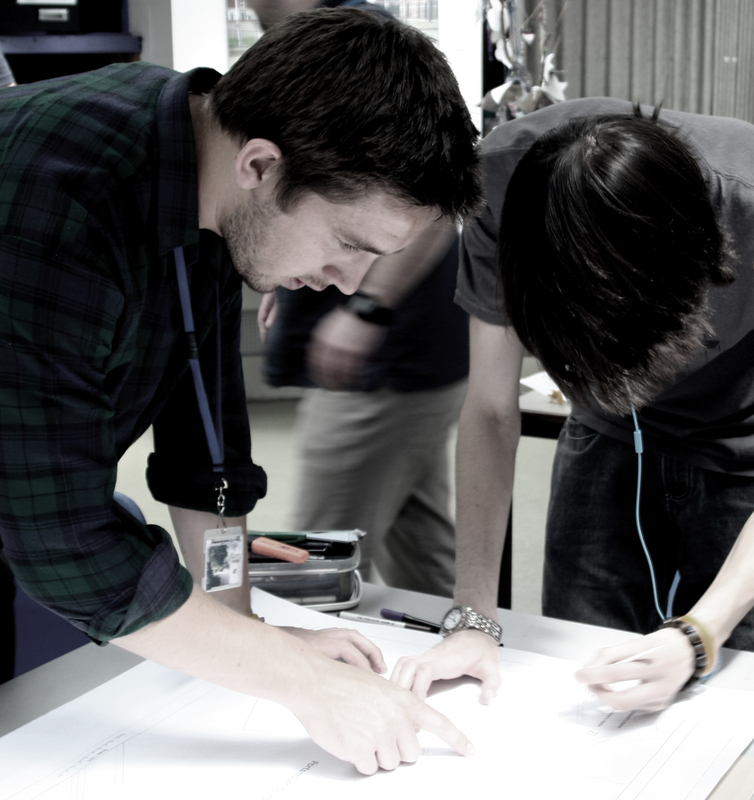 Portsmouth College, Design Charrette, Portsmouth. 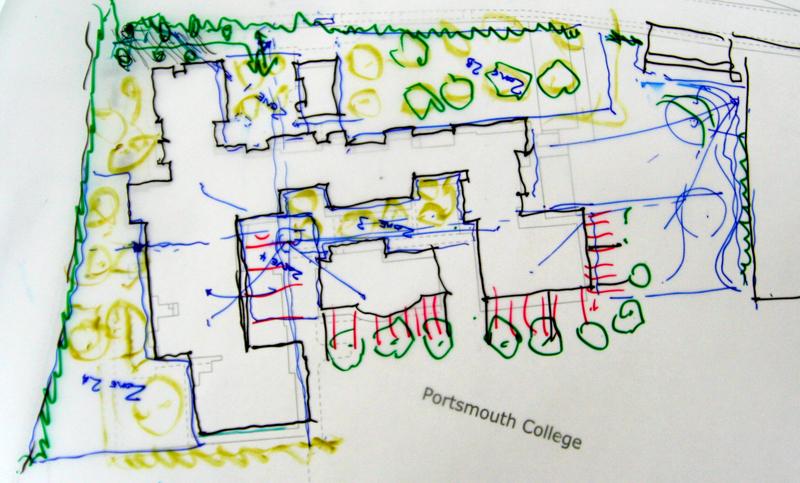 This one-day design charrette focused on finding creative design solutions to revitalise the existing Portsmouth College complex. 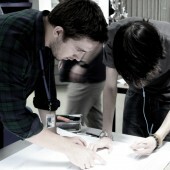 The event aimed to combine the skills of both post-graduate students of Portsmouth School of Architecture and Portsmouth College A-Level Graphics and Art students. The college complex has been developed over time and lacks a coherent strategy to display and celebrate the facilities the college has to offer. 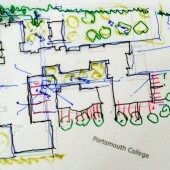 The lack of cohesive design challenges the college’s identity on the Eastern Road site and internally, as navigating the college layout is difficult. Following a tour of the campus, a series of short design activities were undertaken to engage the college students with the design process. The students then worked in mixed teams each considering a key aspect of the college; external appearance, internal cohesion and landscaping. The combination of college and university staff, post-graduate and A-Level students made for a fast moving, lively and creative day which concluded with a professional presentation to college staff and governors. The event was highly valuable as an academic widening participation and outreach event, enabling A-Level students to gain a unique insight into a university course and how designing at this level works. 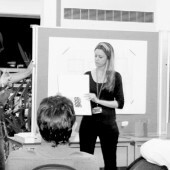 Research Question: Improving the aesthetic and sensory experience of Portsmouth College.